Meaning Maker U.S. Presidential Elections edition. The conventions have commenced. The debates are on their way. 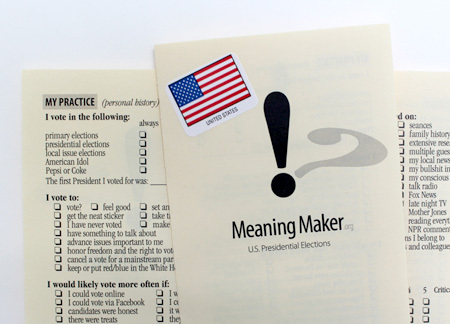 Meaning Maker is an unbiased tool for navigating presidential elections. Download your’s today! Meaning Maker! This entry was posted in September, 2012 and is filed under Project, Publication.